“Once you've been to hell, everything else pales in comparison!" I’m guessing that 976-Evil is most famous (or moderately well-known) for who was behind the camera more so than for anything that happened in front of it. By 1988, Robert Englund’s face was most certainly very famous, at least when it was buried under the ounces of prosthetics required to bring Freddy Krueger to life. He traded in the makeup chair for the director’s chair in this case, though, so 976-Evil will likely always be known as Englund’s directorial debut, which is just as well since it doesn’t have much else to be remembered for. It can’t even claim to be “that movie where Stephen Geoffreys is a nerd-turned-demonic creature” since the far superior Fright Night is the most famous example of that. Geoffreys is indeed a hopeless nerd named Hoax who lives under the thumb of his evangelical mother (Sandy Dennis). His cousin Spike (Patrick O’Bryan) also shacks up with them, and Hoax idolizes him since he’s a cool biker type that’s much better with the girls. One night, Spike happens across a the strange phone number that gives the film its title, and it promises to deliver callers a “horror-scope” that proves to be eerily relevant with each call. The line also happens to double as Satan’s most convenient recruiting tool, as you can sell your soul to him and do his bidding directly over the phone. 976-Evil either feels like two mashed-up episodes of Tales from the Crypt or maybe just one that’s laboriously stretched into feature length. There’s a distinct breaking point about midway that shifts the dynamic of the initial setup; what seemingly begins as Spike’s struggle to resist Satan’s overtures ends as a Jekyll/Hyde nerd-gone-evil revenge plot centered around Hoax. The steps that move through these points are a clumsy, but the movie is lined with just enough weirdness and mystery to guide it along, plus it’s steeped in that charmingly 80s suburban nightmare aesthetic. Considering what Englund was most familiar with, it’s no surprise that he often borrows Elm Street’s dusky dreaminess and even infuses it with a dash of post-apocalyptic fervor. Just about every set seems to have been pilfered from a wasteland, from the junky, graffiti-laden schools to the smoked out, trashy movie theater where Spike gambles with his buddies. It’s actually not all that hard to imagine that Satan is just a phone call away. The film’s heavy atmospherics often suffocate the characters that end up comprising a mixed bag. Dennis plays things most broadly, as if she were portraying a trashier, more theatrical version of Carrie White’s mother. Manically frumpy and decked out in outrageous wigs, she gives a ridiculous turn that has to be one of the most bizarre among former Oscar winners. Her on-screen son tries to match her, and he succeeds so well that you start to wonder if Hoax isn’t meant to be mildly retarded or something, particularly when he’s decked out in outrageously childish outfits. You’ve seen Geoffreys play a twitchy, spazzy dweeb before, but it’s like he’s suffering from brain damage here, and he almost borders on being unlikable. This is problematic, but he’s at least paired against O’Bryan’s hood-with-a-heart of gold, and the dynamic mostly works; there’s an early scene where Hoax is being bullied, and Spike coolly strolls in and breaks up the scuffle, a moment that efficiently establishes his good nature. Spike actually seems kind of genuine, whereas Hoax just feels like a cartoon, which is probably why 976-Evil doesn’t really work; sure, the latter is pitiful and pathetic, but when he turns into a demon to wreak some gory havoc in the film’s prolonged climax, it’s a bit weightless and undercooked since the film is also splitting time with a reporter’s investigation of all of these strange events. Rounding out and further stuffing the proceedings is Spike’s girlfriend, Suzie, portrayed by Lezlie Deane, another strong presence who (like Geoffreys and O’Bryan) disappeared a few years later (Deane would of course go toe-to-toe on screen with Englund in Freddy’s Dead before blazing a trail into obscurity). Englund perhaps lets his cast have too much free reign, as no one can quite get dialed in on the same wavelength, so 976-Evil is constantly straddling the lines of intentional camp. Because this uniformly fine cast is stuck in a messy, atonal mish-mash, 976-Evil is one of those 80s curiosities that’s more entertaining and fun than it is genuinely good. 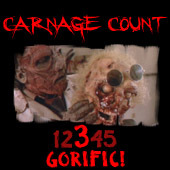 Englund’s direction is otherwise dutiful enough, as he delegates to the film’s strong visuals and effects (provided by a familiar name in Kevin Yahger). It’s interesting that this film was written by Brian Helgeland, one of the guys who wrote Nightmare 4 because 976-Evil looks an feels a lot like that film, right down to its grungy but candy-colored visual palette. What it doesn’t have, however, is Dream Master’s madcap energy or compelling payoff to its premise--at the end of the day, this is just another demonic possession movie. Ironically enough, one might say that Englund doesn’t create anything that can remotely rival his own Freddy Krueger in terms of commanding the screen or an audience’s attention. He gets a lot of other things right, particularly during the setup: the palpable sense of dread, a spooky mystery, and an almost hellish urban production design (in fact, Englund must have really liked Nancy Booth’s set decoration since he married her soon after this). That Englund even had time to pull this movie off as moderately well as he did is somewhat remarkable. At this point, he was constantly in and out of Freddy make-up; not only was he coming off of Dream Master, but he was also knee deep in the Freddy’s Nightmares series. Truth be told, it’s probably more apt to say that 976-Evil feels like it could have actually been an episode of that anthology series. One can easily imagine Freddy picking up the phone at the end and delivering some cheesy line as his maniacal laughter sends us to the credits. 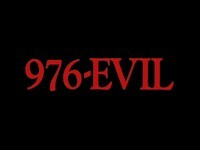 If it’s any consolation, 976-Evil would have certainly been one of the very best episodes of Freddy’s Nightmares. Perhaps unsurprisingly, it’s only shown up on DVD once, and that was about ten years ago. The version that Columbia Tri-Star presents here is the theatrical version (whereas the VHS featured some additional footage), and it’s full-frame at that, though the transfer is otherwise fine. Similarly, the disc also packs a merely adequate 2.0 surround track and only features a trailer, so it leaves a lot to be desired for whatever enthusiasts this film might have. There’s probably not a whole lot of those-- 976-Evil is one of those films where the parts are more interesting than the whole (which was just interesting enough to warrant a sequel a few years later). Rent it!